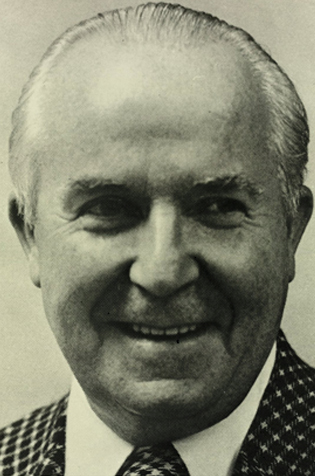 A 40 year career in sports writing began in 1930 with the Toronto Globe. After service in the Navy, he became business manager for Toronto’s Baseball club, known as the Toronto Maple Leafs. He initiated the proper compilation of statistics in the Eastern Conference in 1954. He was the first president of the Football Reporters of Canada in 1958 and its secretary-treasurer for another 7 years. He joined the Canadian Football League as Director of Information in 1973. Gord Walker was inducted into the Canadian Football Hall of Fame and Museum, Football Reporters of Canada wing in 1982.